Like all of you, I watched the news coming out of Orlando last weekend with a pit in my stomach. Even more than that wounded. As an ER physician with more than 3 decades of experience, I can imagine the overwhelming amount of pressure placed on the first responders and medical personnel who were tasked with trying to save as many lives as they could. I also know what it feels like to have to hold a grieving family member in my arms as they break down after hearing the news that no one wants to hear about the death of their loved one. And so, like all of you, I grieved at the news coming out of Orlando last weekend. But my grief quickly turned to anger as I watched the reactions to this shooting. Predictably, Missouri State Representative Stacey Newman is already trying to blame the popular AR-15 utility rifle. President Obama is blaming America’s gun owners for stopping him from passing his massive gun control package in 2013. Anti-gun activists everywhere are blaming violent video games. What you’ll never hear anti-gunners zealots like President Obama, liberal media, or local gun-grabbers like Rep. Newman say is that they shoulder a portion of the blame for these horrific crimes! That’s because they support and institute the very types of gun free zones that make places like the nightclub in Florida such an attractive target in the first place. The church shooting in South Carolina that occurred a year ago this week that claimed the lives of 9 people – took place in a gun free zone. The shooting at the military recruiting center in Chattanooga, TN a year ago next month, which claimed the lives of 5 US service members – took place in a gun free zone. The shooting at the Umpqua Community College that took place on October 1, 2015, where 9 students and faculty died – took place in a gun free zone. The shooting at the Aurora, CO, movie theater, that took place in July of 2012, where 12 people were shot dead – took place in a gun free zone. The Navy Yard shootings, the Ft. Hood shootings, the Sandy Hook shootings…all in areas where you and I can’t carry! Gun free zones are killing us! And next to the shooter and any accomplices, it’s the politicians, bureaucratic staff, and liberal media outlets that call for and institute these policies that should be on bended knee apologizing to the families of the victims. Instead, the St. Louis Post Dispatch is screaming for more gun control and legislators like Stacey Newman are openly talking about trying to regulate (aka ban) modern rifles. They’ll never learn, and they’ll never tire in the battle to crush our 2nd Amendment rights. That’s why you and I can never tire in our battle to defend and expand the 2nd Amendment here in Missouri. The most immediate way for you and I to do that is to continue to press Gov. Nixon to sign SB 656 into law right away. As a reminder, SB 656 is an omnibus bill that contains both a Constitutional Carry and Stand-Your-Ground provision. If passed, EVERY law abiding Missourian could carry a handgun for self-defense immediately – without having to pay heavy fees, beg government permission, or have their name added to a government database like some sort of criminal. That’s what stops killers bent on bloodshed: the knowledge that he may be shot down by an armed Missourian who is determined to defend himself and his loved ones. That’s why I hope you’ll contact Governor Nixon’s office today at (573) 751-3222 and urge him to sign SB 656 into law right away! While you’re at it, please also contact presumptive Democratic gubernatorial nominee Chris Koster on Facebook, or by calling 314-384-9063, and make sure he knows that you expect him to publicly call on Gov. Nixon to sign this bill into law. Nixon is finished, a victim of term limits, and so he doesn’t care about political repercussions affecting him. 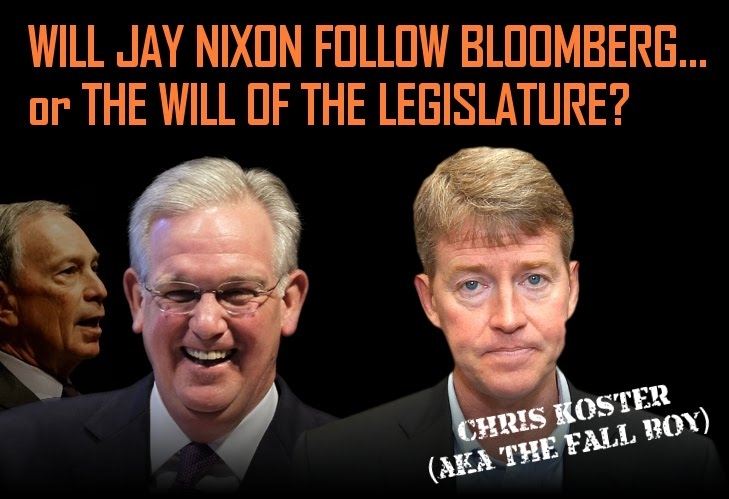 But our sources tell us that both he and Chris Koster are terrified about the potential fallout that will occur should Nixon veto this gun bill just months before the voters decide who our next governor will be. Make sure both of them know, Koster in particular, that their actions on this legislation will tell you all you need to know about what kind of a Governor Koster would be. The absolute best way for us to stop mass shootings is to give more law abiding citizens the ability to carry defensive firearms with the least amount of unconstitutional infringements as possible. Constitutional Carry does exactly that! So please, make your calls today. Please also consider chipping in $10 or $20 to help me mobilize more Missourians to our fight. P.S. 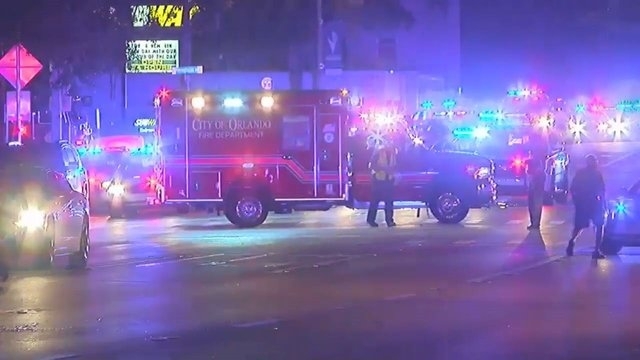 As America copes with another mass shooting, the failure of gun control is being laid bare as this shooter passed multiple background checks, passed multiple interviews with the FBI, and ignored current state law in Florida that prohibits guns in the nightclub where the shooting occurred. 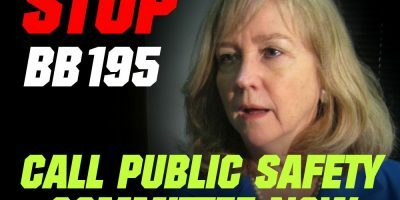 It doesn’t matter how many gun control laws anti-gunners like Rep. Stacey Newman want to pass in Jefferson City – it will do nothing to stop crime or the criminals who disobey the laws already on the books when carrying out their killing sprees. Passage of Constitutional Carry law would reduce crime, however, by making it easier for law abiding citizens to have the means of self-defense more readily available. That’s why I hope you’ll contact Governor Nixon’s office today at (573) 751-3222 and urge him to sign SB 656 into law right away. 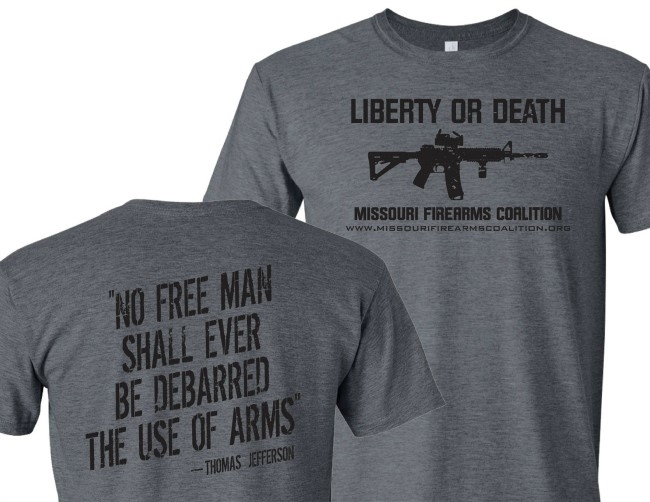 Then, please consider chipping in $10 or $20 to help the Missouri Firearms Coalition mobilize more Missourians in our fight to defend the 2nd Amendment!